Former Vodafone Flying Fijians ace goalkicker Seremaia Bai is happy with the turnout during the Rugby Academy Fiji trials at Buckhurst Park, Suva yesterday. 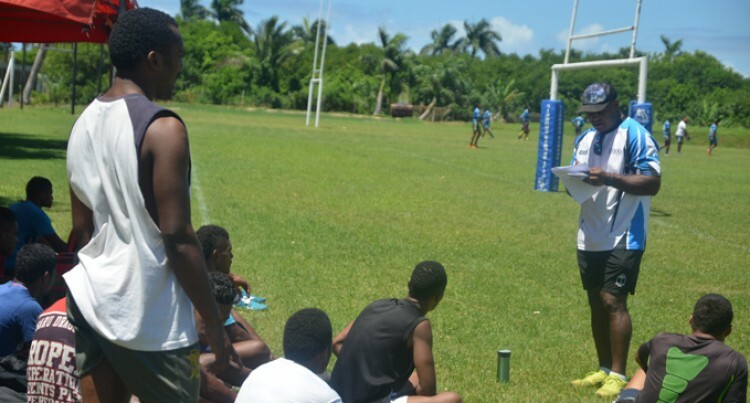 The Fijiana XVs head coach is eyeing to nurture youngsters so they can become better rugby players in the future. “This was just the continuation of Friday’s trials where we had the under- 19 and 20 trials today,” he said. “Last Friday we had the under-17 and 18 trials. It is just to get the boys into this sort of atmosphere before we prepare them. I brought in the under-19 boys from Lelean Memorial School who are part of the academy and I’m trying to recruit more boys. Bai was assisted by fellow assistant coach and former Flying Fijian skipper Ro Alifereti Doviverata.